WORK is due to start this week on an ambitious scheme to provide much-needed apartments for older people in Chorley town centre. Chorley Council’s £9million flagship scheme for independent living accommodation for over 55s is being built on the former long stay car park in Fleet Street. Contractors are due to move on site this week to do preparation work prior to the demolition of the old Ambulance Hall and the former Primrose Cottage, which has inspired the name of the new development. Councillor Graham Dunn, who oversees housing for Chorley Council, said: “I’m delighted that work is now starting on this major scheme which will be called Primrose Gardens and will provide purpose-built accommodation to support our older residents when they need it most. 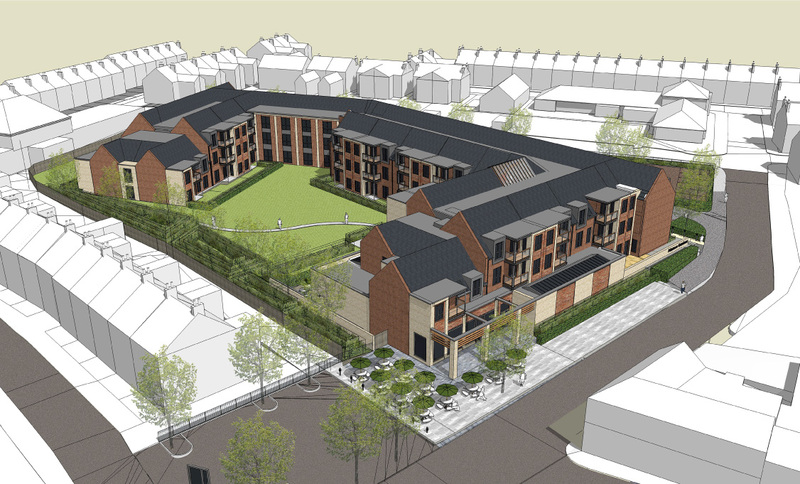 The complex will provide 47 one-bedroom and 18 two bedroom generously sized apartments at an affordable rent which would be available for people aged 55 and over with a local connection to Chorley and which could offer care and support 24 hours a day, seven days a week should it be needed. There will also be community facilities including landscaped gardens, a café, laundrette, community room, hair salon and a dance hall where two local dance schools – Dance with Passion and Anita Murray School of Dancing – will also be based. Councillor Alistair Bradley, Chorley Council leader added: “We appreciate that car parking is going to be one of the biggest issues while this and other works are going on in the town centre, but we are actively working on creating new spaces. Indeed, so far we have created a new car park on Cleveland Street and opened up a car park on Hollinshead Street to the public which has plenty of spaces available for parking.